We want to make sure you get the right part the first time when you order, so please include your basic vehicle information in your email. We understand you don’t always need a part that was designed to go with the make/model it’s being purchased for. In this case please give a description of what you want to do so we can make sure you get what you need. If you are inquiring about a return or exchange please include your original invoice number and a brief description of what is wrong and what you would like done. 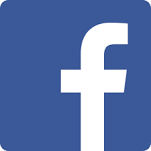 You can also contact us on Facebook!